● Get a 30-day free trial for up to five social media platforms. ● Coupons tend to take around 50% off your initial 90-day sign-up period of HootSuite Pro and therefore represent around $14 in savings. Since no newsletter exists, it is recommended that you check back for new coupons regularly to maximize your savings. 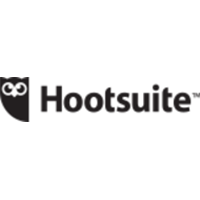 Hootsuite is a program that companies can use to manage all of their social media accounts from one convenient location. It will ask for your log in information for the accounts and compile them together into a dashboard where you can manage all of the details. The program also offers customers the ability to review their analytics to see the success of their marketing campaigns. It is important that you review all of their business plans to make sure that you are choosing the right account for the social media accounts that you have and all of your marketing needs. For most up to date offers check out Hootsuite on Facebook and Twitter or contact Hootsuite Support for any questions.